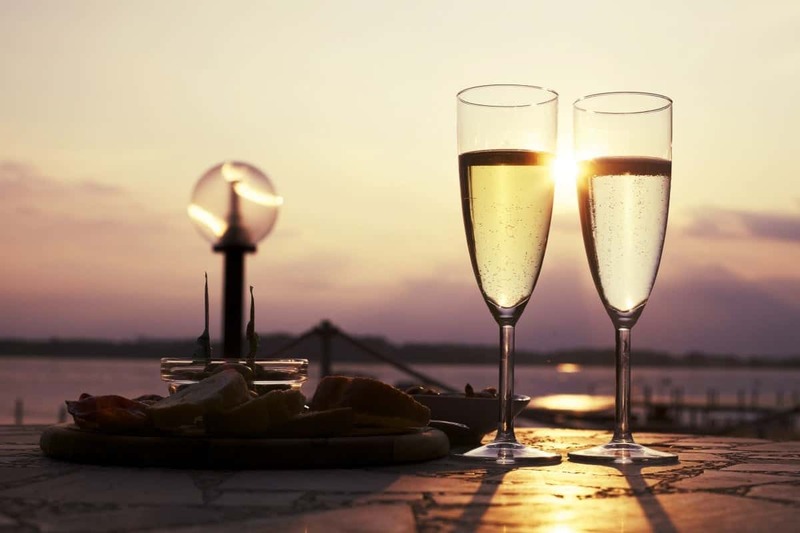 Prosecco: For breakfast, for dieters, or just for the love of it. What’s so great about Prosecco is that you can start drinking it at breakfast. And clearly you can use prosecco in your morning Mimosa. But my Italian brethren, for some reason, had to go complicated something so fabulous and versatile. They created all these rules and designations that make your head spin, so lets just to the chase. Here’s basically all you need to know so you can pour a glass already. -This wine comes from the northeast region of Italy – the Veneto and Friuli areas. It got its name from the village of – you guessed it – Prosecco, located in the far Northeast corner of Italy, near Trieste, practically on Slovenia border. Prosecco used to be the name of the grape too. No more. They changed the name to Glera in 2010. Again, unnecessary complication. But Glera grapes, or whatever you want to call them, are only grown in the top right corner of Italy. Much like Champagne has to come from the Champagne region of France, a bottle of Prosecco must come from the Glera region of Italy. -All Proseccos must be 85% Glera grapes. The other 15% can be local varieties like Verdiso, Bianchetta Trevigiana, Perera and Glera Lunga or your standards like Chardonnay, Pinot Bianco, Pinot Grigio and Pinot Noir. Basica Prosecco — which comes from the mainland — or the flattest part of the area. It’s your straight-up Prosecco. Prosecco Superiore DOCG – Many of the grapes that go in these bottles come from the Conegliano Valdobbiadene (map) area. Basically its elevation is a little higher, the terrain is more complex and the production methods are slightly different resulting in some high-quality Proseccos. Cartizze DOCG – a.k.a. Gran Cru. One bottle in every 400 bottle gets this designation, says Gianluca Bisol, of Bisol Desiderio & Figli, whose family has been making high quality prosecco since 1875. The Cartizze hill is around 1000 feet above sea level so the grapes from there have an entirely different taste. No surprise the land up there goes for about $1 million a hectare (or 2.5 acres) So you can expect this bottle to be more expensive than most. -And finally – and probably most importantly — one glass contains around a mere 80 calories. Compared to your 120-calorie glass of cabernet. The low calories are partly due to its low alcohol content which clocks in around 11.5% vs. your cabernet which can be anywhere from 12-15% alcohol. So that makes this a great choice for those of us constantly watching our weight. I got to speak more with Gianluca Bisol so listen here. He went over the basics and we tasted some of his family’s finest.